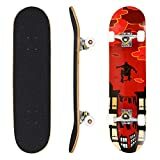 / How to Stop or Brake a Longboard? Stopping or braking is the most important fact for longboarding. 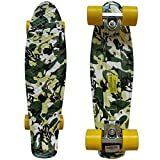 A large number of longboard accident happens due to inappropriate knowledge about braking. 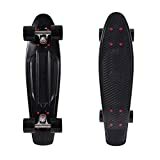 So, it is essential for every rider to learn about the correct and appropriate ways stopping or braking a longboard to get smooth, perfect and safe riding experience. 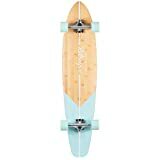 There are several ways to stopping or braking a longboard which is effective for different time and purposes. 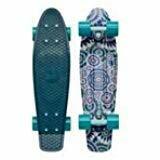 So, let’s know about the longboard stopping methods and how and when you need to apply them. 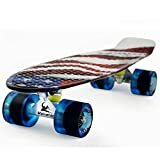 Everyone knows that longboard or skateboard hasn’t any additional part so you can use them for braking to stop or reduce the speed. 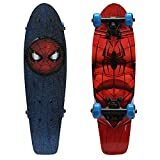 But, there must be a way to stop a longboard. So what’s the way? You’ve to reduce the speed by using your foot or hand directly on the ground or by using few tricks or turns. 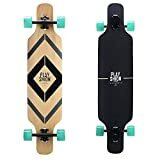 In the introduction, I’ve told you that there are several ways to stop a longboard and they are suitable for different purposes and times. Now, I’m gonna tell you the details about the methods and how and when you need to apply them. So, no more additional talks. Let’s start our main concept. Air braking/Speed braking: It is the simplest way of stopping. The task is very easy. All you need to do is reduce the speed and it will help to stop you slowly. You can reduce the speed by raising your hands forward. And then, the wind will work as a resistant to stop your velocity which will help you to stop slowly by reducing the speed. The only drawback is that this method needs a little much time to stop the longboard. So, it may not be a good idea if you try to stop by this way in an emergency. Footbraking: It is another easy way of stopping. It is an effective method to stop or reduce the speed in any emergency. In this method, you need to place your foot (You can use any foot but back foot is better to do that) on the ground and keep dragging it until you can stop the longboard. But, if you want to reduce your speed only, then slightly drag your foot on the ground. This method is very easy and suitable for the emergency situation. But this method has a little problem. It erodes the sole of the shoe because of the friction with the ground. Regular use of this method will damage your shoes quickly. So, try to use this method only in an emergency. Roll over the grassy area on the road side. The soft and unsteady grassy area will slow you down quickly. It is the safest way of stopping but it may not be a better idea to depend on this method because the plain grassy area is not available on every roadside. And sometimes, it is not possible to move there quickly. This method needs a little practice and skill. Because you need to maintain your balance while doing that. By this method, you need to take a wide turn by circling in a short area or by turning from one side to another on a wide street. This method is helpful to reduce speed. And you can stop the longboard by doing it 2 or more times. But, this process is only suitable for a calm and wide street. But don’t use in a crowded or narrow street to avoid any accident. If your longboard has a kicktail you can use this method. You need to snap the kicktail while riding. This will make the front wheels rise up and the kicktail will touch the ground and make a friction which will reduce the speed immediately. 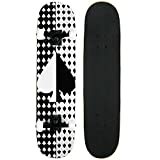 And you can grab the board and keep it in your hand easily. It is the quickest way of stopping but you will need a little practice to learn it. It is the most difficult method of braking and suitable for downhill and freeride and you must need to wear slide gloves. To do this you need to move your body lower to the ground and place your hand on the ground. Then you need to to rotate around by holding your weight in this hand. The rotation will reduce the speed and help you to stop. You can use any slide trick to do this kind of brake. Hope you can understand the breaking or stopping methods clearly. Try to practice all of them and use them according to the riding situation, your riding style, and skill.